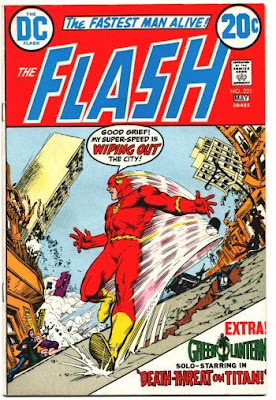 Also, if you're a comic book fan, don't miss the post below this one, detailing my trip to this year's New York City Comicon, where I had the great honor to meet & talk with the legendary Nick Cardy! Oh, and Happy Earth Day, too! Today I went to the New York City Comicon, (the massive comics convention that happens once a year in New York... similar to the one in San Diego that takes place in the summer). There were lots of interesting moments and people I connected, (and re-connected), with. But I'd like to talk about my peak experience at the convention today: meeting one of my artistic heroes, the man who's work means so very much to me, and has influenced me so deeply and given me so many hours of pleasure to view. The magnificent Nick Cardy! Nick was pretty much phasing out of the comic book world at the very time that I, as a little kid, began reading comic books. I do recall, that first year I was reading comics, he was still doing all of the covers for the DC books, to spectacular, dramatic effect. (Just look at some of the samples I've pasted here! And, please... click on them to view them larger and with more clarity). 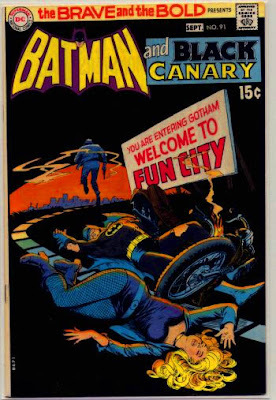 It wasn't until a few years later, thanks to DC Comics penchant for reprinting a lot of their 60s comic books in new editions, that I was able to see many of the stories he'd drawn so masterfully at that time. 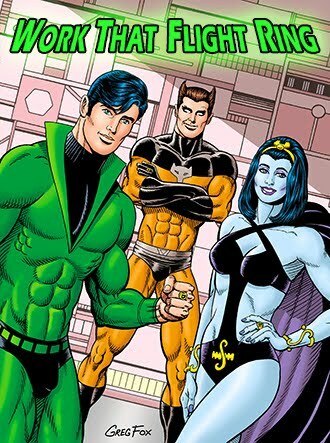 The original Teen Titans... various Batman team-ups in the Brave & the Bold.... Aquaman's 1960s run.... and of course, all of those brilliant covers! I've been fortunate enough to meet just about all of my "heroes" in the comic book industry through the years. (And there are quite a few of them!). 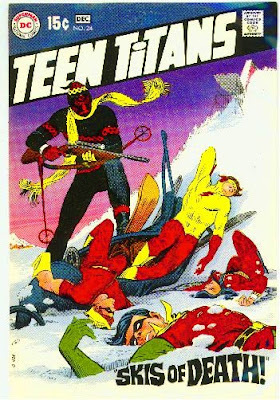 But Nick Cardy, somehow, stands out just a bit above all the rest. And I'd never had the privilege to meet him, and I guess I'd never thought I would. I'd heard he moved to Florida and was retired, and I'd never heard about him appearing at any conventions, especially in the New York area. So, what a delight and honor it was to be able to meet him today. Nick is now 87 years old, looked to be in great shape and spirits, and is still drawing, (I got to watch him for a bit today, as he did some sketches). Miraculously, I was able to spend some time alone with him, talking about his art, how much it has meant to me, and then we got to talk about techniques and pencils and layout and lots of technical stuff that, as an artist, was priceless for me to hear. And then... I got to show him some of my Kyle's Bed & Breakfast work... which he spent time looking though, and liked quite a bit! I think I was on cloud nine at this point. I hadn't really planned on having him sign anything for me... 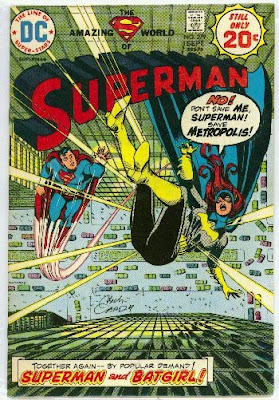 I generally don't collect comic books in that sort of "collectible" way... but I figured, this is Nick Cardy! I have to have him sign something! 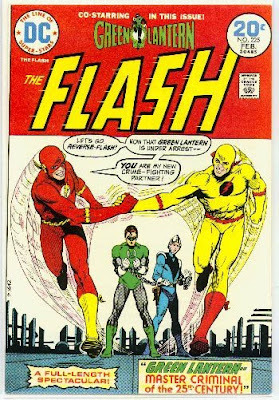 So, I did bring along a copy of the Flash #225, (I've pasted a copy here... it's the last cover I've posted, at the very end of this post...the one with the Flash, the Reverse-Flash, and Green Lantern on it). And while I was at the convention, where there are lots of comic book dealers, I happened to find several copies of Bat Lash, a western book he drew in the late 60s for a 7 issue run, that I'd never seen before but is considered some of his best work. So, I had him sign those also. How awesome when you find out one of your heroes is also a warm, kind, considerate person, too! Poll Results: "Who is your Supporting Character Dream Date?" 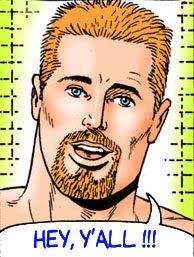 Well, the votes are in, and who came out on top, as the #1 most desired dream date amongst all of the supporting characters in the comic strip? Who else, but the hairy-chested, southern-fried, leather-clad, former baseball catcher, present nurse who you just know gives the most enjoyable sponge baths? That would be Jeff Olsen, South Carolina's finest, now taking up residence at the B&B for what looks like may be his longest, (and most tumultuous! ), stay so far! Being that Kyle Graham was the #1 pick in the last poll, (most desired dream date amongst the main cast), and Jeff is now established as the most desired dream date from the supporting cast... doesn't it seem like it would be appropriate for the two of them to go out on a date together? 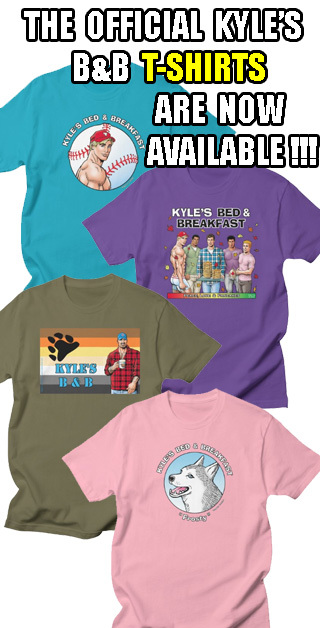 Well, could be quite a bit of fun, but.... Kyle won't be doing any dates with Jeff for the foreseeable future, as we all know that Breyer & Kyle are a well-established couple. And, as we've all seen most recently, Jeff seems to have his hands full with the Brad-Matt-post-breakup crazy love triangle mess. Of course, as long-time readers of the comic strip know, Kyle & Jeff did have an intense, (though brief), romantic moment during Jeff's very first visit to the B&B! I won't give it away if you haven't seen it yet, but it involved a couch, some kissing, and some very tight boxer shorts! Ultimately, it came down to pretty much a 2 man race, between Jeff & Breyer, with Andrew Jiang showing up a distant third. (Andrew was kind of like the John Edwards of the democratic party!). I was surprised Matt didn't place higher, (he did OK; he's in 4th place, but nowhere near the numbers of Jeff & Breyer). I was also expecting more from Nick, always a reader favorite. Delia & William tied for last place, with an unfortunate one vote a piece! I was surprised about that for Delia, (where are all the female readers who claim to love her so much?). And not so surprised about William; many readers didn't even know just who exactly William is, (for the record, he's Andrew's boyfriend/partner, and hasn't had all that many B&B appearances). If you're still wondering about which characters are which, I invite you to check out the Meet the Cast page, where all of the main cast & supporting cast bios & pics are. (Except for William, who didn't actually rate a bio of his own. Perhaps I'll have to change that; I kind of like William!). Thanks for your participation in the poll; be sure to stop back on Tuesday for the next episode of the comic strip, (and perhaps another poll, before then!). Also, take a few seconds to vote in the NEW Poll, (upper right hand corner). Who's your Supporting Character dream date? See how your answer matches up with everyone else! (If you want to see the results of the last poll, "Who's your B&B Dream Date", just scroll down to the next post). Poll Results: "Who is your B&B Dream Date?" Poor Richard! And Lance, too. Well, I suppose it's nice that they got some votes, at least. Of course, I heard from a number of readers whose "dream date" wouldn't be any of those guys, but would be one of the supporting characters. So, in the interest of fair play, I'm posting a new poll, to cover the supporting characters in the strip. This should be interesting!